A totally new era of Helsinki’s regional commuter rail services began in january 1969, when the the first electrified section (38 km) from Helsinki Central to Kirkkonummi, on the western fringe of the capital region, was taken into use. 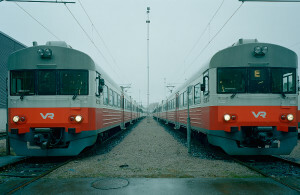 Vr class Sm1 electric trains, or more precisely electric multiple units (EMUs), served the fast-evolving electric commuter services from the from the first pioneering day for more than 45 years. During the course of decades they become symbolic of city–suburban connectivity and metropolitan identity of Helsinki region. The last remaining Sm1 units were retired in early 2016. History of technology aside, the cultural history of the Sm1 electric train also commemorates the revolution in Helsinki’s suburban transport, and Helsinki’s evolution from “provincial” capital to Europe’s northernmost urban area of over one million inhabitants. The photo-documentary project aimed to respectfully capture the phenomenal character and ambience of this local institution in its final days still alive. The timeline of the photo-documentary project spanned from August 2013 to June 2015, stongly inspired by British photographer Maxine Beuret’s work on Southern England “Slam Door Trains” in 2005. The project was financially supported by the Finnish Railway Museum, and the material will be permanently included in the museum collection. 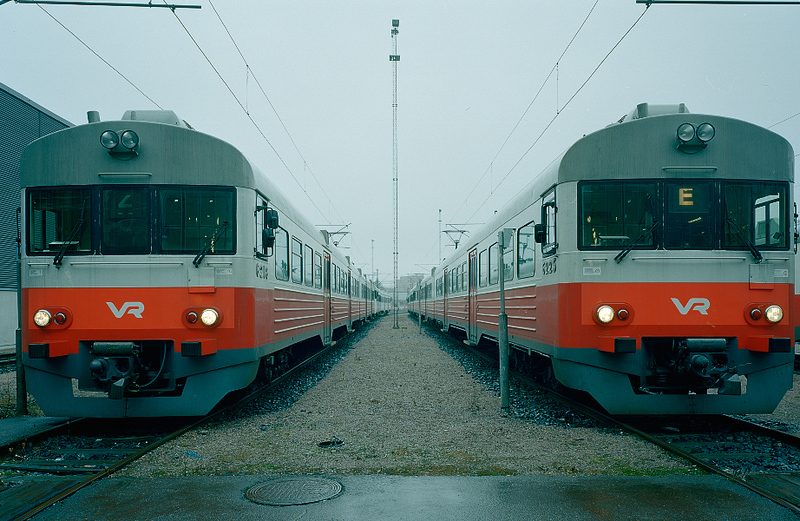 Image: Sm1 units already withdrawn from regular service in backup reserve, on a gloomy December day at the Ilmala depot, Helsinki, 2014.